With experience and the aptitude of serving the nation for over a decade, Domex is the ultimate domestic courier service provider in Sri Lanka. The stability and the accuracy gained through our vast years of service and experience, Domex functions with the highest confidence in widest coverage, security and the rapid delivery of your important documents and packages. With the strength of an experienced and talented team, Domex also possesses a strong background in logistics management. As a result of the trust we have been maintaining with our corporate clients, today Domex serves as the official courier for numerous entities in Sri Lanka. Domex maintains high service standards with the optimum levels of quality to ensure that your packages and documents are handled by professionals. 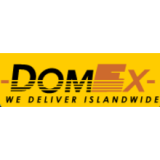 With a large network which keeps expanding to cover each and every corner of Sri Lanka, Domex serves as the fastest courier in domestic delivery service in Sri Lanka.